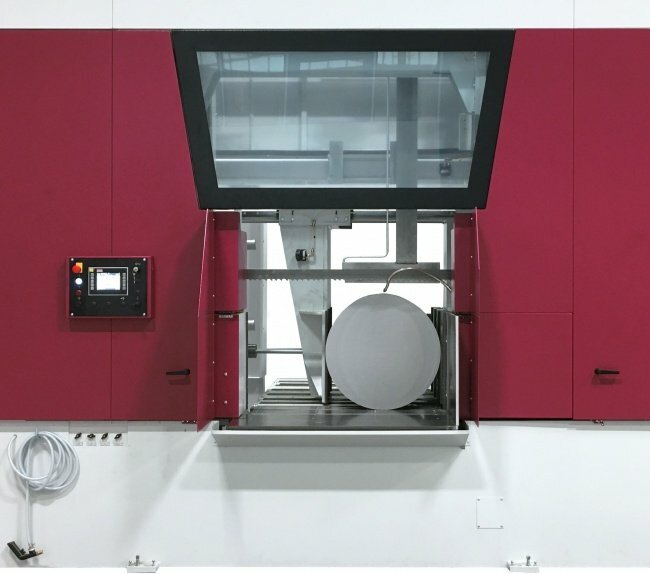 LVD Company nv introduces new automation offerings for its Phoenix FL‑4020 and Phoenix FL‑6020 large-format fiber laser cutting machines, including options for an automated load/unload system and a range of Compact Tower (CT-L) solutions for the Phoenix FL‑4020. The flexible automation systems keep pace with the high-speed cutting of the Phoenix laser and reduce material handling and preparation time to maximise machine productivity. They also facilitate fully automated, lights-out processing. The load/unload automation system available for Phoenix fiber laser models 4020 and 6020 handles maximum sheet sizes of 4000 x 2000 mm (Phoenix FL‑4020) and 6000 x 2000 mm (Phoenix FL‑6020) and material thicknesses from 0.8 to 25 mm. 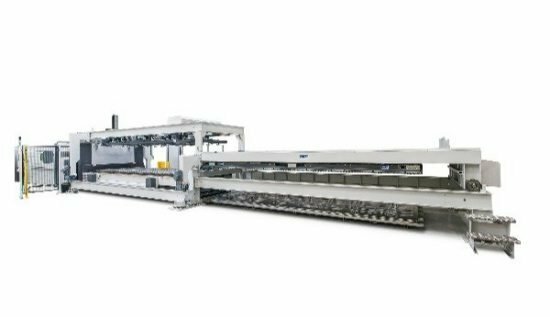 It offers fast process cycle times for complete loading and unloading: just 65 seconds for Phoenix FL‑4020 and 90 seconds for the Phoenix FL‑6020. The load/unload system is a robust construction to handle large pallets. Unprocessed material can be stacked to a height of 159 mm and finished parts can be stacked as high as 240 mm. The system features a streamlined design that enables to access the raw material and easily remove the unload pallet from above. The area above the laser table remains free for manual load and unloading. LVD’s load/unload system is ideal for shops with high production volumes and for fabricators processing a high variety of jobs where parts separation and sorting is a bottleneck. It is offered as an option or can be retrofitted to a Phoenix FL‑4020 or -6020 machine. The Phoenix FL‑4020 is available with six different versions of Compact Tower (CT-L) for loading, unloading and storage of raw material and finished parts. The CT-L enables automated production from stored raw material to stacked, cut parts in a compact, small footprint system. CT-L versions for the Phoenix FL 4020 include a basic system with one tower in five, 10 or 14-pallet configurations, as well as a two-tower CT-L system for high-volume applications. The second tower adds 9 pallets to the CT-L 5, 14 pallets to the CT-L 10, and 18 pallets to the CT-L 14. Each input and output pallet has a capacity of up to 3000 kg and 240 mm of stacking height. Maximum sheet dimensions are 4095 x 2055 mm, 20 mm thickness. Open Mind’s hyperMill virtual machining software generates a bi-directional communication link between the machine control and the software for process control and optimisation. 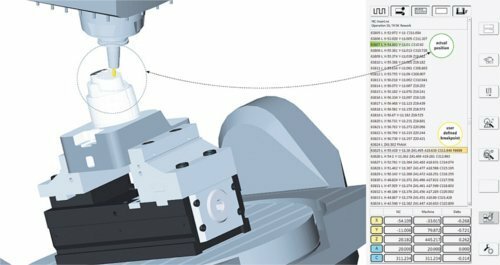 This allows for virtual mapping of the actual processes so that machining operations can be evaluated, checked and optimised before running the job. 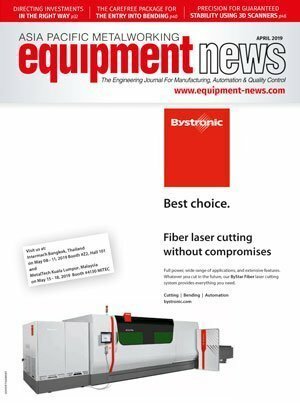 Behringer’s HBE1060A Performance covers a wide range of applications such as in steel distribution, machine building, tool making and process reliability during sawing. 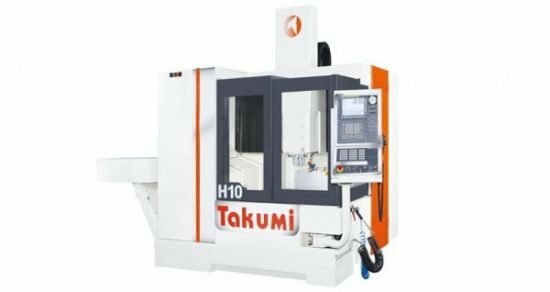 Takumi’s H10 double-column machining centre’s rigidity and thermal stability makes it suitable for parts that require fast processing, high precision and quality surface finish, such as die and mould, aerospace and other high-speed applications.